Comprehensive trading platform, diverse selection of assets, powerful trading tools and highly-rewarding returns on investments – these are the top reasons why traders choose to open an account with Win Options. 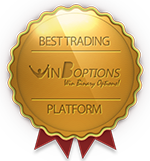 These outstanding qualities are what make WinOptions the perfect venue to trade binaries. The top-notch trading services that we deliver, along with our high payout rates, truly make for a fun and satisfying experience. Besides these remarkable qualities, we will give you more reasons why you should open an account with Win Options. 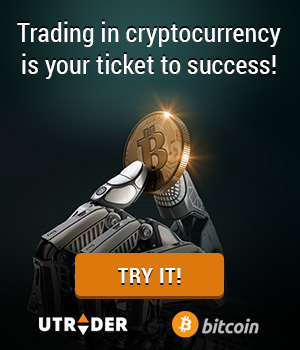 Not your ordinary trading platform. Our platform is chockfull of special features that will surely make your trading sessions lively and dynamic. Overall simplicity. It doesn’t take a genius to trade binary options. Our simplified and professional trading platform makes WinOptions binary options trading available for everyone. Unique bonuses. Most of the positive feedbacks that we have read highlight our generous promotions scheme. These much awaited monthly offers include free trades, regular cash-backs, referral incentives, freebies and giveaways that will definitely spice up your trading sessions. Trade on the fly. Mobile trading is the simplest and most effective way to engage the global financial markets from anywhere at any time. With our state-of-the-art WinOptions mobile app, you can monitor your open positions and stay up-to-date with the market trends even you’re on the go. Market reviews. It’s in line with our goal to keep our traders informed at all times. In this line, we have designed an all-inclusive education system that showcases a range of relevant information such as market reviews, past expiries, technical analysis, demo trading, trading tips and other essential resources. Support system. WinOptions serves traders from around the globe with the best customer service and advanced WinOptions support team of market professionals and account managers. We value the importance of customer service, that’s why we are going to great lengths to ensure that your issues are resolved right away. Now that you’ve read these great reasons, it’s time to make your move. Open an account with WinOptions now for an unparalleled trading experience.